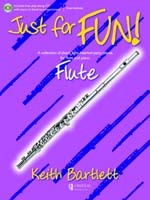 for flute and piano – includes free CD. Trinity/Guildhall Jazz Woodwind syllabus grade 3 and 4 – from 2017. ABRSM Woodwind syllabus grade 3 and 4 – 2018-2021.